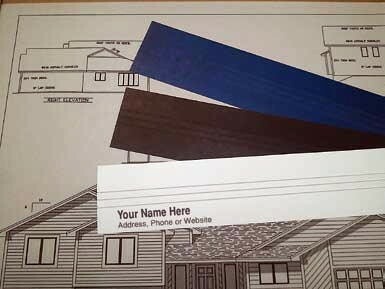 Custom Printed Binding Strips - GS Direct, Inc.
Customize your binding strips with your Company Name or Logo! Made of 125 lb. tag stock in matte finish, each strip will accommodate up to 150 sheets of 20 lb. bond. Triple-scored to give you a choice of widths. Standard sizes are 24", 30" & 36" strips..
Standard strip & print/logo colors are Black, White or Blue. Note- We can do one or two color custom printing, call us at 1-800-234-3729 or email us at contact@gsdirect.net, we will be happy to supply you with a quote. Minimum order is 1,000 strips per size. Camera ready artwork is required. There is a set up fee of $65 per order. This charge will be added to your invoice and will not show up on your order confirmation from this website. Click on "Additional Product Details" link below the image and create your own camera ready artwork using this template. Please Call 1-800-234-3729 for more information or you have any questions.